Welcome to Anand Engineering Udyog. Manufacturer and Supplier of Plastic and Plastic Products. We are an ISO 9001 2008 certified company, incorporated in 1984 at Bengaluru. Our products are applicable in Hospitals, Electronic, Chemical and other sectors. Excellent R and D facility, Easy payment modes and Time bound deliveries are some of the key factors behind our success. We present a rich collection of Courier, Bio Hazard, Anti Static and Liner Bags. Plastic, Trash and Garbage Bags offered by us are available at industry leading prices. We also provide Packaging and BOPP Bags that are widely appreciated in the market. Our Bags on Rolls and LDPE Rolls are in huge demand across the global markets. We are one of the large manufacturers and exporters of Packaging Materials and Plastic Bags for Commercial Uses. 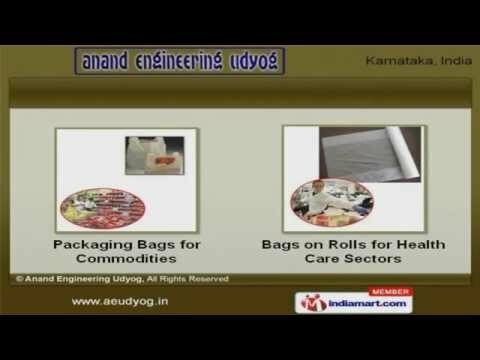 Packaging Bags for Commodities and Bags on Rolls for Health Care Sectors are some of our best selling products.